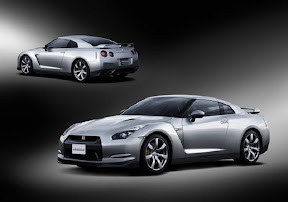 11 Dealers have been selected in Australia to offer the Nissan GT-R. Nissan will start taking Pre-Orders October 9th. The prices for the two offered models are $148,800AUD for the Base Model and $152,800 for the Premium Model. The same six colours(colors to USA folk)that are offered in the US and Japan are offered in Australia. In the press release Nissan even makes mention of the "black box" as a feature, along with things like nitrogen filled tyres(tires). Nissan expects to sell about 200 GT-Rs in Australia its first year. $148,800 is $117,343 US dollars currently. Just about a month ago the US dollar and Australian dollar were nearly 1:1. That would have put MSRP then at nearly double US MSRP. $120,498 for the Premium. Australia gets to pay well for its GT-R's.